Valentine’s Day is tomorrow and I LOVE to celebrate LOVE! I also enjoy wearing my feelings on my shirt, for all the world to read. 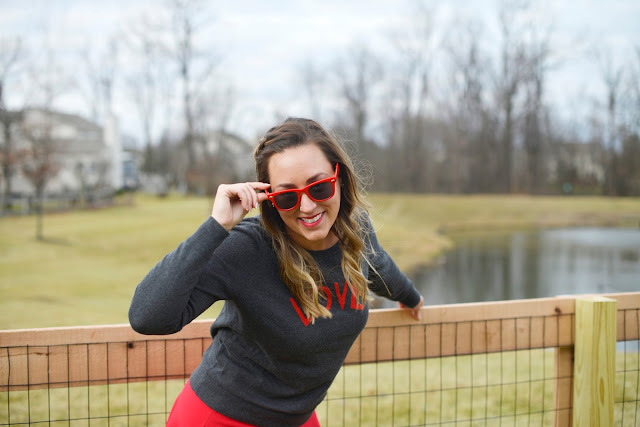 I love to rock red and come fall, cute, red, outfits to stylishly proclaim my love for The Ohio State Buckeye’s become necessary staples. So this skirt and sweater, bought separately, were no-brainer’s for me. The skirt is BCBG and I wear it because it is sooo flattering. I’m not sure if that flattery really comes across in these pictures, but trust me, it looks nice in real life. At least that’s what my skinny mirror tells me, insert all the emoji faces. It’s also super versatile, I like it best with blouses tucked in, it even looks cute with a grey Buckeye t-shirt tucked in. Maybe I will revisit different ways to wear it come fall. 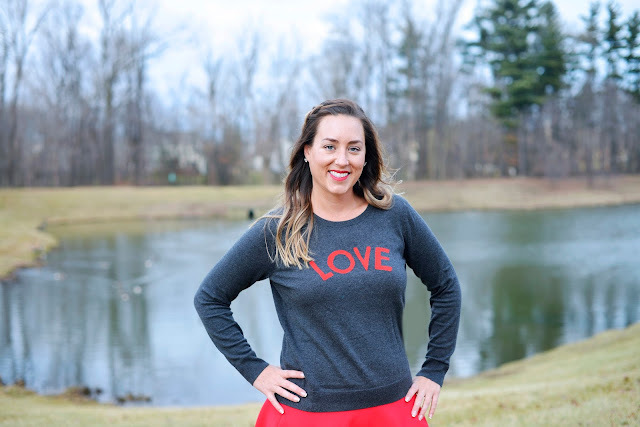 The sweater was a purchase from Nordstrom during their annual sale. My favorite part is actually the subtle zipper up near the collar. I took Evelyn to the playground today and I was trying to do the monkey bars, lost my grip, then my footing and took a hard tumble. I guess I am not as strong, in shape, nimble or young as I thought I was. As my Manfriend said, what do you think you’re 10? You shouldn’t trust your playground skills at this age.” I’m not sure if the fall or reference to my old age hurt more. I’m fine but my leg and ego are both incredibly bruised and I am about to sit down with a glass of vino and watch hours of cringe worthy TV, as Nick blows it as the Bachelor, so this post is going to be short and sweet. Because I purchased this entire outfit years ago, I’ve linked similar items below. 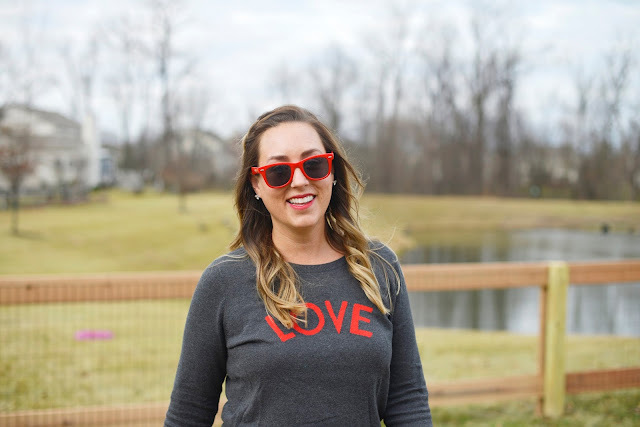 I actually like the LOVE sweater I linked better than the one I am wearing, so check it out! I’ll see you all tomorrow for more LOVE!